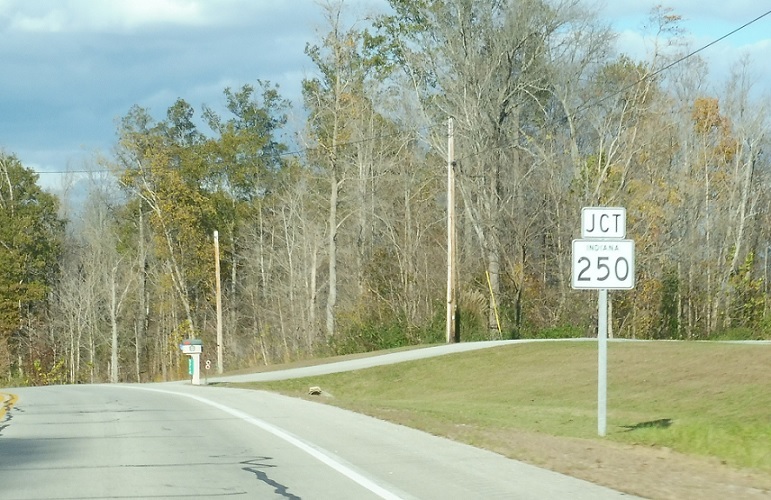 Reassurance shield after the Indiana 256 junction. 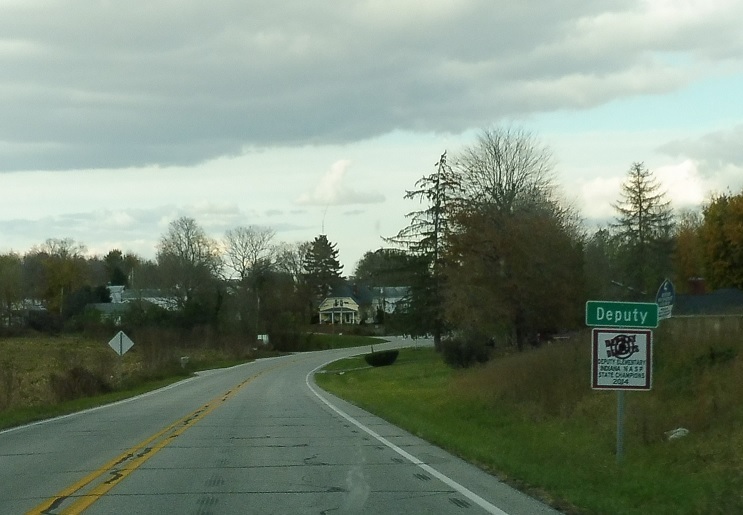 A couple miles later, we’ll enter unincorporated Deputy. 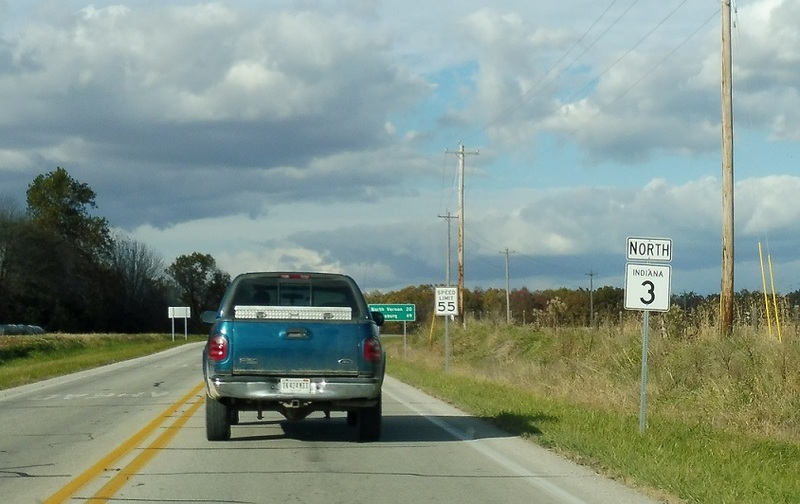 A mile and a half past Deputy, we’ll come to a junction with Indiana 250. 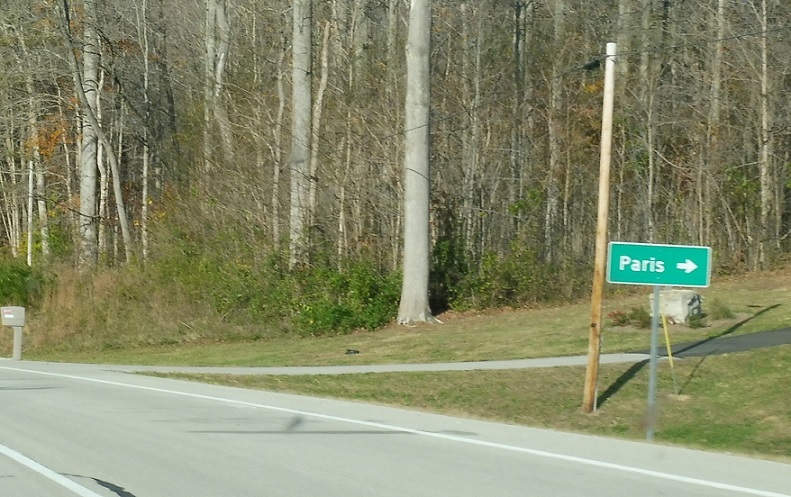 Follow SR 250 east to Paris. 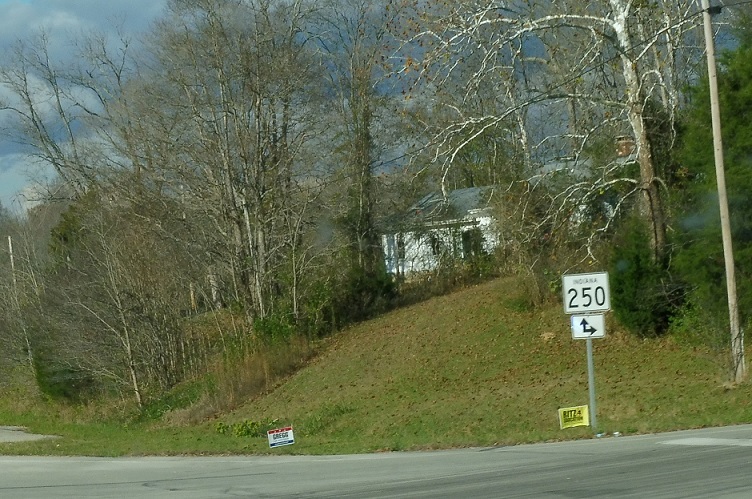 Turn right for 250 east. 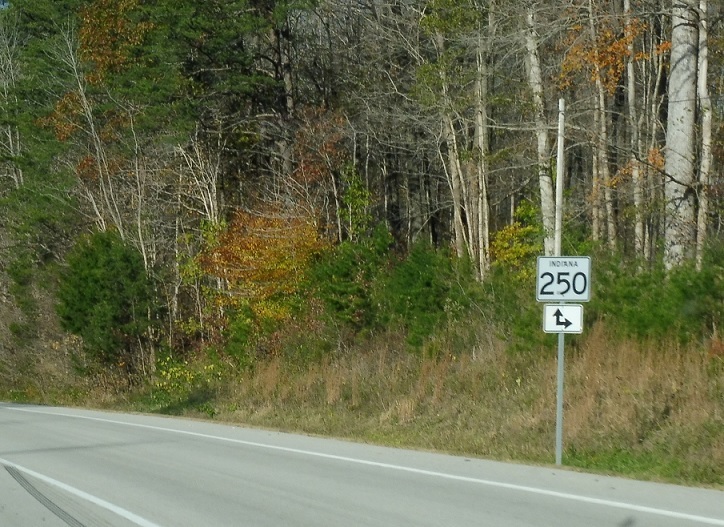 Stay straight for 250 west, which runs concurrent with 3 north. 250 and 3 run concurrent for about 1000 feet.